The circular saw is one of the most important and often one of the most commonly used tools in any workshop, but there is a great big world of different options out there and it can be difficult for a novice user to really know what features to look for. These saws come in different shapes and sizes which will all be better suited to particular projects or sets of hands, so what’s important before you buy is to identify the best circular saw suited for you! 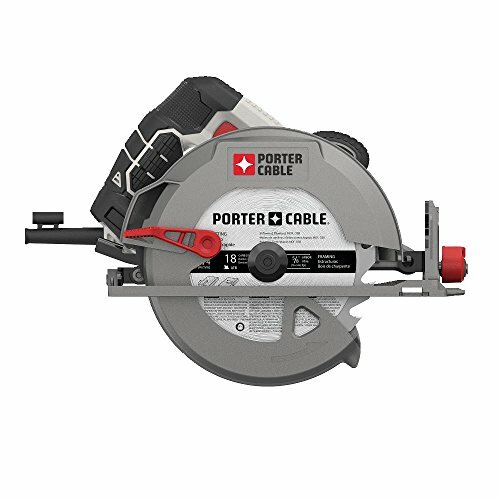 In addition to your own specific requirements, we are going to look at the most important features that absolutely all of the best circular saws should have in one form or another. Often times it is the little things which make all the difference in the world, and some features should be considered requirements. Some of these are things you might not even think of, so read on and I’ll tell you exactly what you need to know. Let’s get the basics out of the way first. A circular saw is a power tool which is ideal for fast, straight and precision cutting of all kinds of materials. Most commonly they are used to cut wood, but even tile, sheet metal, or sometimes concrete can be cut with the right saw and blade. The first thing a buyer has to identify is what they will need to cut, and if you have absolutely no intention of needing to cut through concrete and metal you can pretty safely save a bit of money on a less heavy-duty tool. It is an alternative to a table saw for many users, so what are the differences there? The first and most important thing for most of us is obvious: it is compact and lightweight, and can therefore be used in a wider range of roles or brought along to a job site. A table saw can be a more powerful tool when it is really needed, but a circular saw can do almost anything a table saw can in a much smaller package with a much lower price. Why do we need to get the best circular saw? 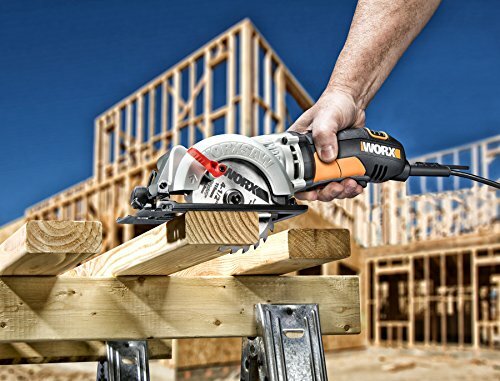 Quality cannot be understated when it comes to the circular saw, both when it comes to the motor and in regard to the blade itself. You don’t want to cut corners here just to save a few dollars, because a cheaply made model is so much more likely to cause problems or break down and that will end up costing you money in the long run. All of this is of course relative to your own needs. 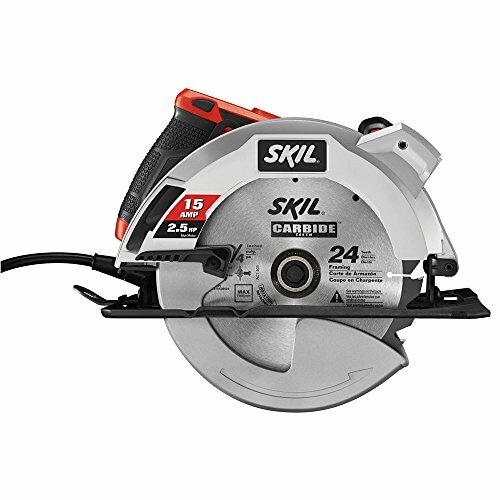 It certainly doesn’t mean that you have to buy the most powerful and expensive best circular saw out there if you aren’t planning on using it to cut through very thick and strong materials. When you have identified your own needs you will know what classification to look at, and the very low end of that price range is usually best avoided if you want a quality tool. It’s not all about strength and power. The best circular saw is the one that best fits your own requirements, and you will find in many cases that a smaller saw with only one inch of cutting depth can be a perfect match. While such a saw can’t be relied on for major cutting jobs, if it is capable of doing the job you need it to you should find that these smaller, lighter saws are easier to use and handle, and that might mean straighter cuts and less fatigue during big projects. What are the important features of circular saws? There are not many accessories and things of that nature to worry about with circular saws, as these are typically straightforward and effective tools. However, there are a few features which are very common and should be found on many of the finest models, so look out for these when you are making a purchase to make sure that you are getting a complete package. I would not recommend you take safety lightly, but if you buy a tool which has built-in safety features which look out for you then you won’t have to focus on that aspect as much while you work. Accidents sometimes happen, but with these features in place those accidents can be minor cuts and not trips to the emergency room! I always look for a saw with a brake, so that the moment my finger releases that trigger the blade will be made to stop. This is one of the most simple and effective safety features, and if a model doesn’t come with this protection the only excuse is that they have added an even greater safety feature. A blade guard will cover the top of the blade and protect you from a part of the saw that doesn’t need to be exposed at all. Floating blade guards can be adjusted or moved out of the way for things like plunge cuts or just to better see the cut you are working on, but in most situations you should take advantage of your blade guard. Finally, a simple safety switch which has to be turned on and off in order for the trigger to function is a great way to ensure safety when your saw is idle. You wouldn’t want to be surprised when you pick up your tool without thinking about the trigger, and these things do happen, so better safe than sorry. Some specific saws and manufacturers have their own safety features which can be as good or even greater than these basics, but if a saw doesn’t seem to make safe operation a priority it is advised that you move on to the next option. Most of the best circular saws will have all of these safety features. There are two kinds of features which a lot of the best circular saws include these days, so if you want the best out there you should keep your eyes open for at least these two wonderful time-savers which just make your jobs easier and more pleasant. First there is the dust blower, which does exactly what the name implies. As you are working you will find a lot of sawdust building up along your line, and while this is not normally a major problem and shouldn’t make the cut more difficult from the perspective of power, it can certainly make it harder to see what you are doing. Having that dust blown away as you make your cut ensures perfect visibility. Laser guides and lights also help to make the working area more clearly visible, and lasers are particularly useful. They will save you a lot of time in lining up your cuts, showing you when you have a perfectly straight line and making certain that it stays that way. I can’t tell you how happy carpenters the world over were on the day these became common. One highly useful accessory I will recommend is a rip guide or rip fence, which will improve the flexibility and precision. Many are now sold with a rip guide as a standard feature, but if the model you want is sold without one you might want to consider whether buying a rip guide would benefit you. Additionally, a vise or screw clamp comes in very handy if you don’t already have one in your workshop. These will allow you to firmly hold down the piece of wood you are working on, which is a requirement of working with a circular saw for almost any purpose. Again, some models will take care of this for you, but you will definitely need some sort of a clamp at your disposal. What else should we keep in mind when purchasing? Remember that there are a wide variety of blades available to bring these essential cutting functions to all kinds of materials. There are also many different sizes of the best circular saws available, and the cutting capacity– how deeply the saw blade can cut– is indicated by the blade diameter, with the most common size being about 7.2 inches. If you want to make a cut at an angle to create bevels, be aware that the maximum cutting depth of any circular saw will differ depending on the angle. 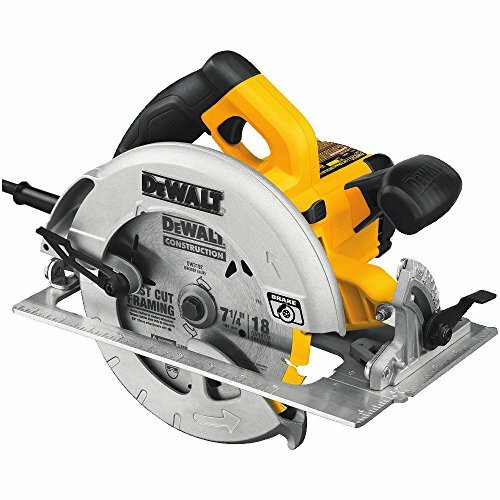 Once you are able to identify your own set of needs it should not be very difficult at all to find a whole selection of the best circular saws made for people just like yourself. While that range may still be quite broad, once you have gotten that far it’s a matter of weighing overall power and features that promote ease of use against your budget, and without sacrificing the quality of the tool or its safety features. This isn’t the kind of purchase where you really want to cut corners and pinch pennies, but good deals can be found once you know exactly what you are looking for.